Granada is the capital city of the province of Granada in Andalusia. It’s located at the foot of the Sierra Nevada mountains, yet is only an hour by car from the Mediterranean coast. 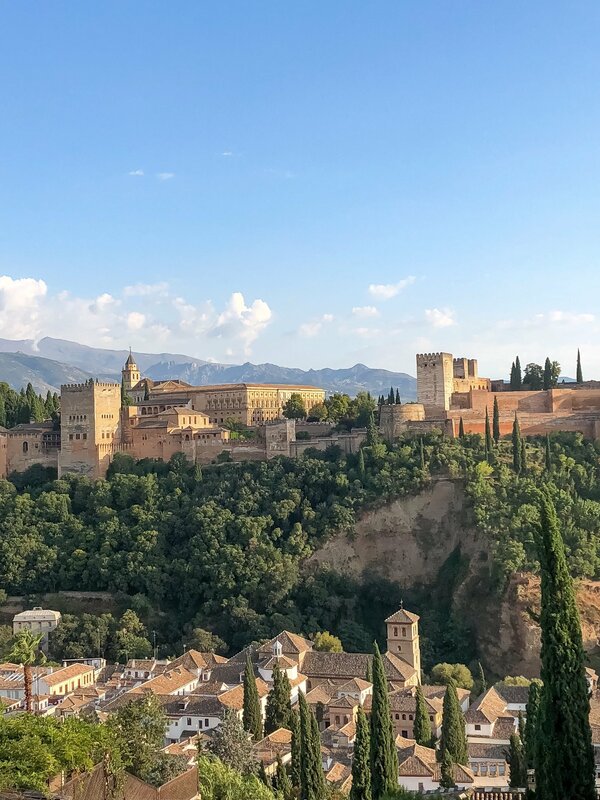 The Alhambra, an Arab citadel and palace, is in Granada. 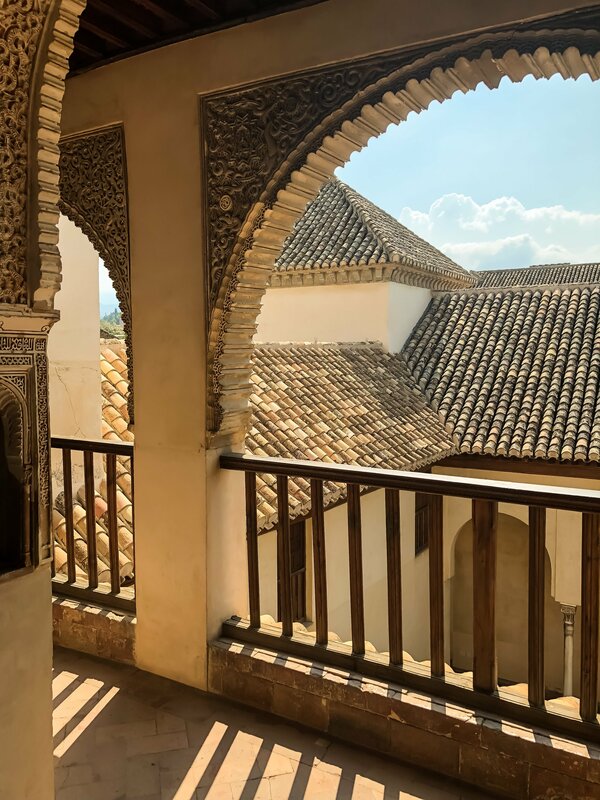 This is the most-known building linked to the Andalusian islamic historic legacy with all its attractions and that’s why this city is so popular among tourists. The Moorish influence in the architecture that is very well preserved can be seen in all Albaycin neighborhood. Alhambra is all about royal palace, castle, fortress and gardens. Built between XIII and XIV centuries, it’s the most popular monument in Spain. We suggest to visit it with the Generalife that has amazing gardens. Anyway, for visiting the Alhambra you have to plan it in advance because it’s always very crowded. The tickets can be bought also in internet in different websites. 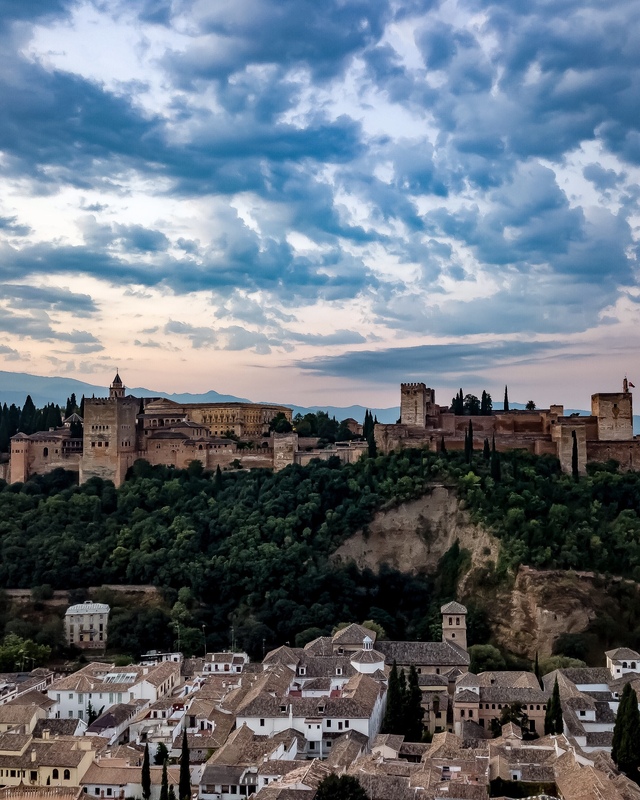 There are also excursions from other Andalusian cities that can be done in a day and give you the opportunity to visit Alhambra and other sites of Granada. The Albayzin is the old Arab Quarter. It’s located among the Sacromonte and the Alhambra. 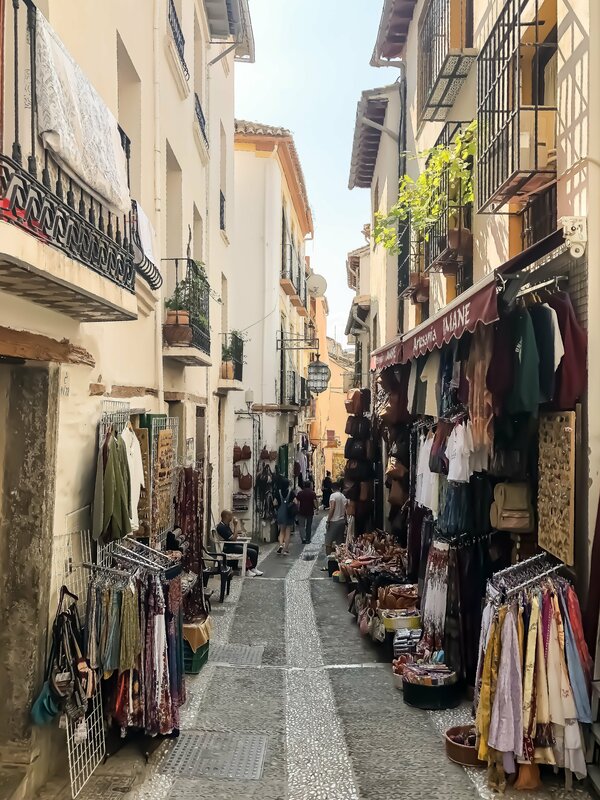 You feel like being in a different world within Granada. Narrow streets, bars, terraces, small houses but also different attractions like the Banuelo. Moreover, strolling this quarter you can also buy some souvenirs in the Alcaiceria. 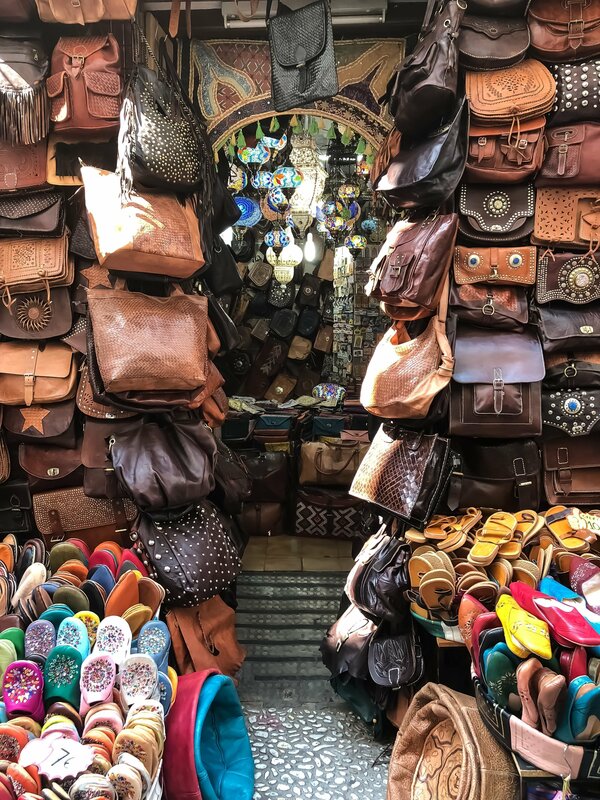 This is the home of the Great Bazaar of Granada, so you can find Arabic goods, spices, ceramics, farolas (stained-glass lamps) and silks. Nowadays it’s less than half of its original size but it’s still full of lively stalls and bars. The Sacromonte neighborhood is instead located on the Valparaíso hill and it offers the best mirador of the zone. From here you can see the sunrise and the sunset while drinking a glass of wine or listening to some music played by some guitarists. Walking along the street you can also see the door of the Banuelo. 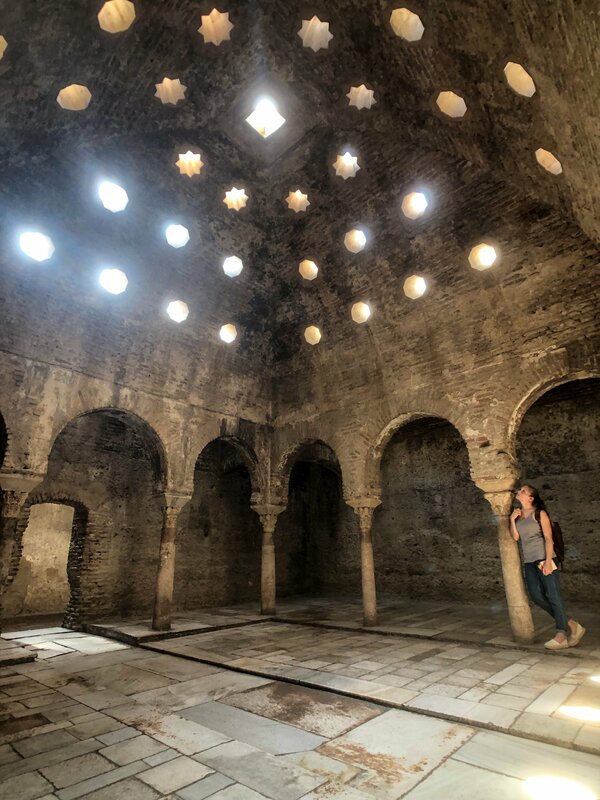 These 11th century Arabic Baths are very well preserved and are located exactly in the Carrera del Darro, at the foot of the Alhambra. Don’t miss them! With the same ticket you can also visit Dar-al Horra. It’s a Palace arranged around a great patio and offers a great view of the city from the rooms in the western and eastern side. It’s very quiet and nice here. 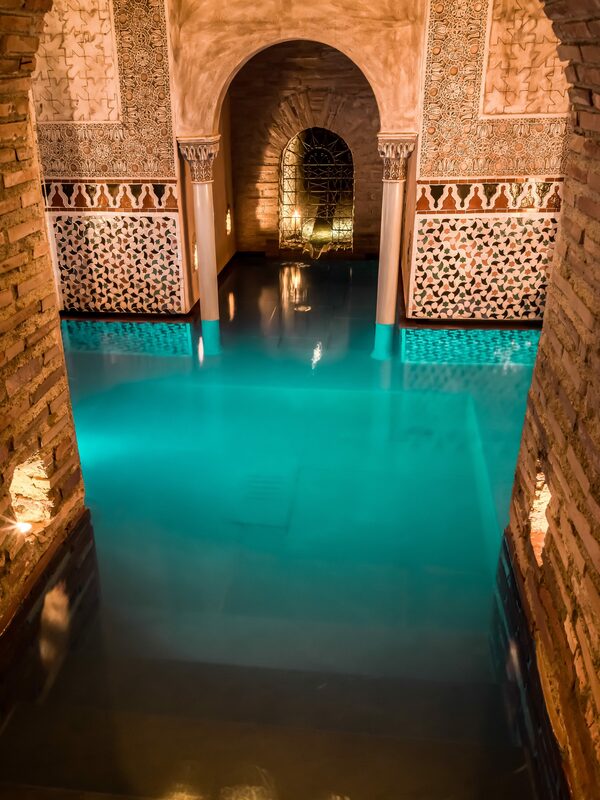 Least but not last, a tip: if you wanna not only see Arab Baths but also try them, you have to experience Hammam Al Andalus. What’s that? I didn’t know exactly what it was before visiting it. In fact, it’s a water culture which originates in ancient Rome and it was elaborated till nowadays for our well-being. 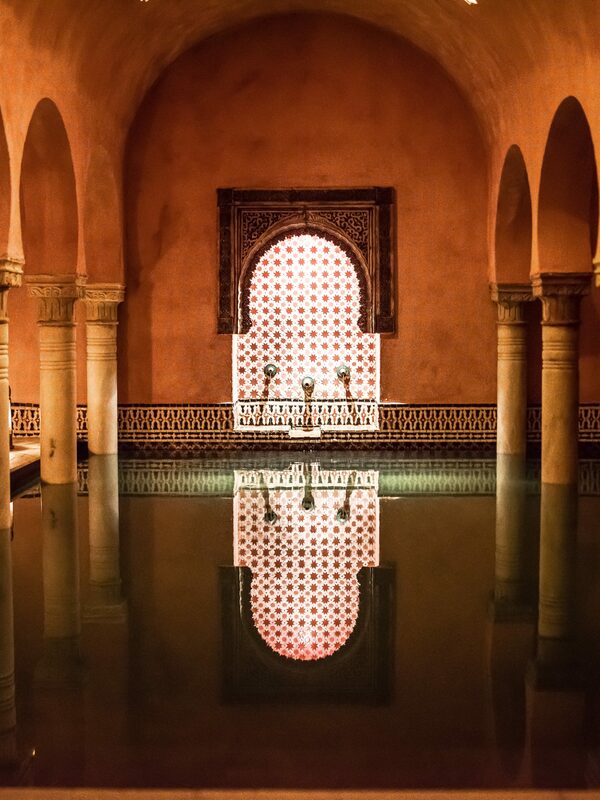 Hammam Al Andalus are located in different cities, such as Granada, Cordoba, Malaga and Madrid. It’s the perfect spot for relaxing a little bit after exploring the city during the day. 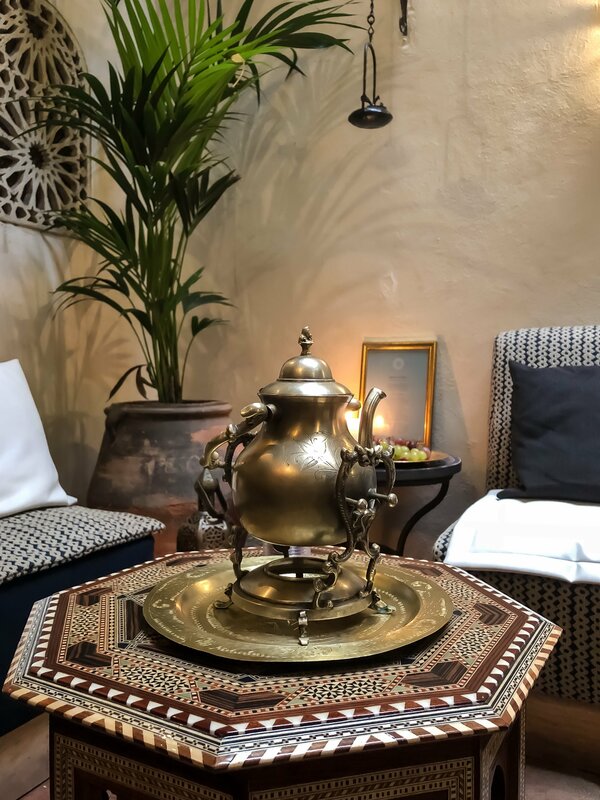 Moreover, you can choose among different offers: there is the possibility to do the water journey, to add a massage, ritual or treatment, day and night. 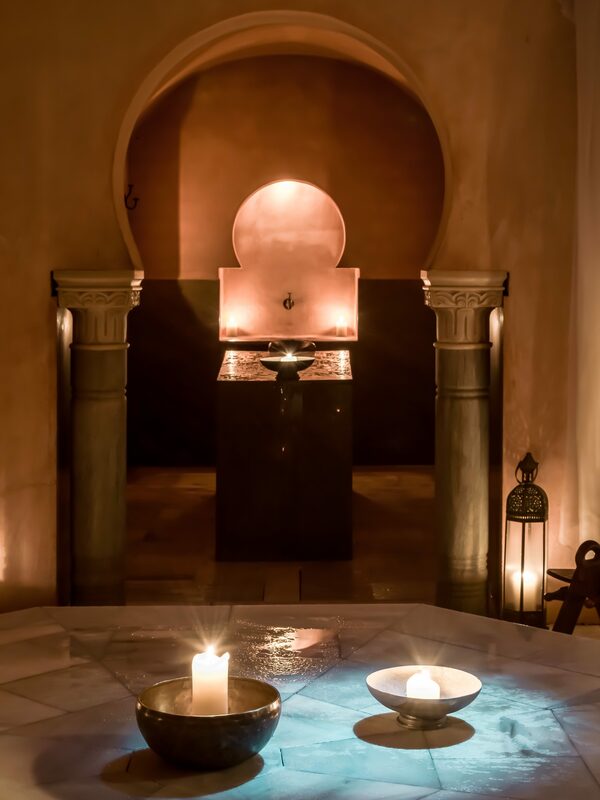 The Hammam has four different water rooms: one at 36° (the warm room), two at 38°(the hot room) and one at 18°(the cold room). 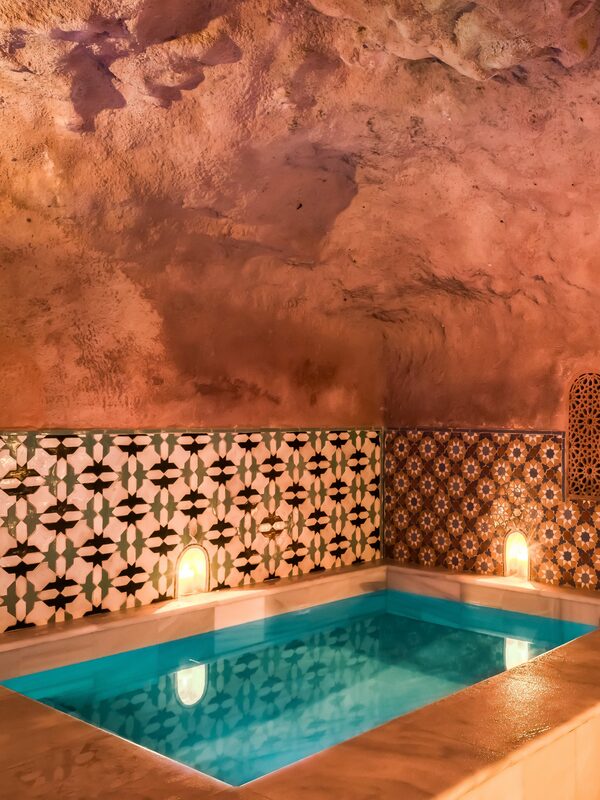 The water journey should start with the warm pool, for then pass to one of the hot bath and then to the cold one. At the end you can also enjoy the steam room and the rest room. Here you can go on relaxing while drinking a hot green tea with mint. The atmosphere composed by soft light, candles, a misty mood make it the ideal spot for mind and body relaxation. 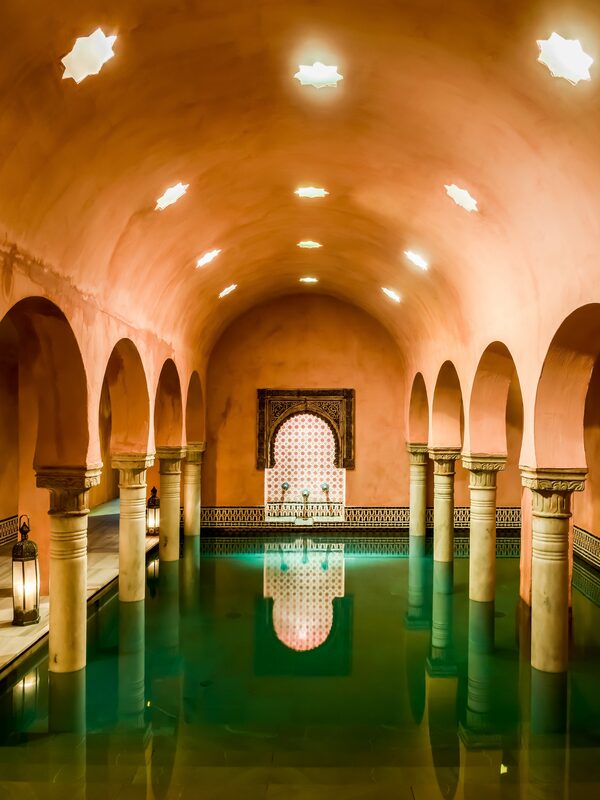 These thermal baths form part of the ritual of purification and are characterized by moorish architecture and decoration. Strict cleaning rules are observed and a maximum numbers of visitors make everything even better than what it already is. So what are you waiting for? Book your unique experience here and you won’t regret it! I think I have fallin in love…. Breathtaking.